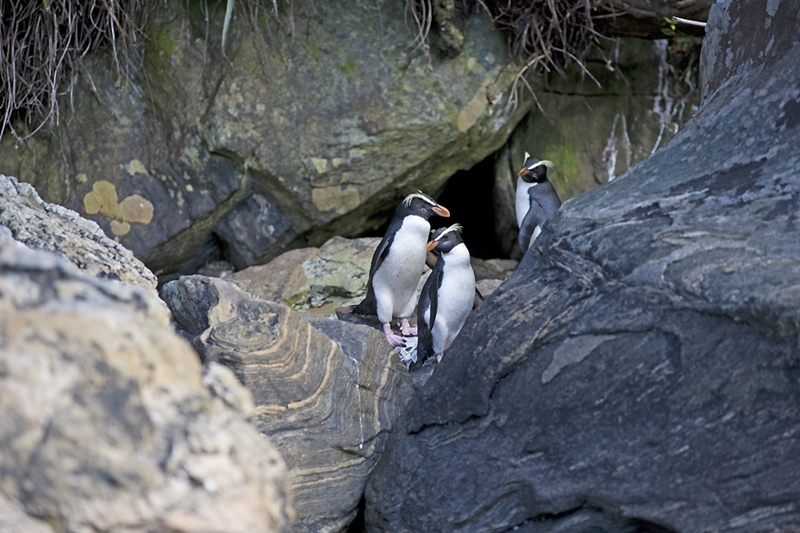 Once we arrived at Milford Sound we were greeted by the staff of Real Journeys. Photos were taken and we boarded the boat with a picnic lunch and hot soup waiting for us. We were glad we chose the Real Journeys nature cruise. Apart from the great service the boat was beautiful and although it was powered by a motor the skipper put the sails up just for effect. The purpose built observation lounges and outside decks are perfect to view the scenery from inside or out. We spotted penguins and fur seals as the boat cruised close to the shores but the highlight would have to be the pod of dolphins, including a baby dolphin that swam with the boat for quite a long time. The famous waterfall that is seen in all the photos of Milford Sound did not disappoint. Crashing down from the sheer cliffs it was spectacular. The boat went right under the waterfall and it was quite a 'wet' treat to be so close. The ongoing commentary from the crew was really interesting and they continued to point out the sights throughout the cruise. The cruise lasted 1hr 40min and was interesting and exciting for every minute. At the end of the cruise our pictures were for sale however it wasn’t the normal pictures as so many others offer it was a picture in the front of a memorial book. What a fabulous keepsake to remember your trip to Milford Sound. The whole experience was something that we will talk about for years to come and I would strongly recommend you experience this while in New Zealand South Island. Being on a tight schedule we decided to make our way to Queenstown when we returned from the day at Milford Sound. We drove to Kingston which is just outside Queenstown and bunked down for the night. What a magic day! 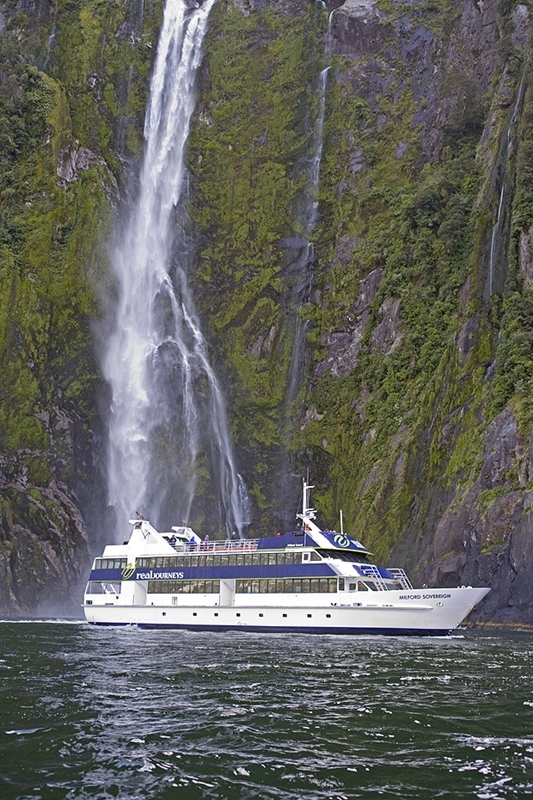 Thanks to Real Journeys who made our trip to Milford Sound so memorable.